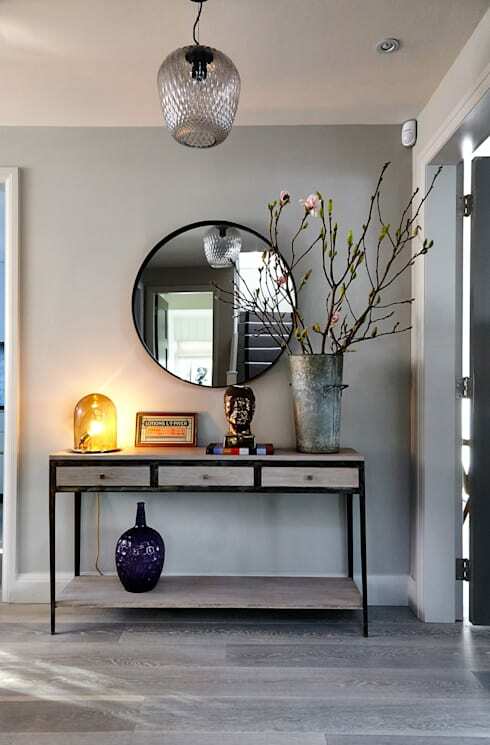 We've said it once, and we’ll say it again; the entrance to your abode is one of the most important and design-crucial aspects to your domestic decorating. If you reside within a duplex or freestanding house, you will want to ensure your abode boasts some serious curb appeal, while apartment living focuses more on the interior aesthetic of a foyer, lobby or entrance way. To help get you started, we’ve collated 7 simple ways you can style and decorate your apartment’s interior entrance. Whether your abode is spacious or compact, you will undoubtedly find a few handy tips and tricks below. So, improve the overall ambience and impression of your dwelling by giving your entrance a makeover and face-lift. The first entrance style we are taking a look at is a room that is bold, minimalist and dramatic. Here the designers and architects have opted for a sleek, chic and thoroughly attention-grabbing ambience. 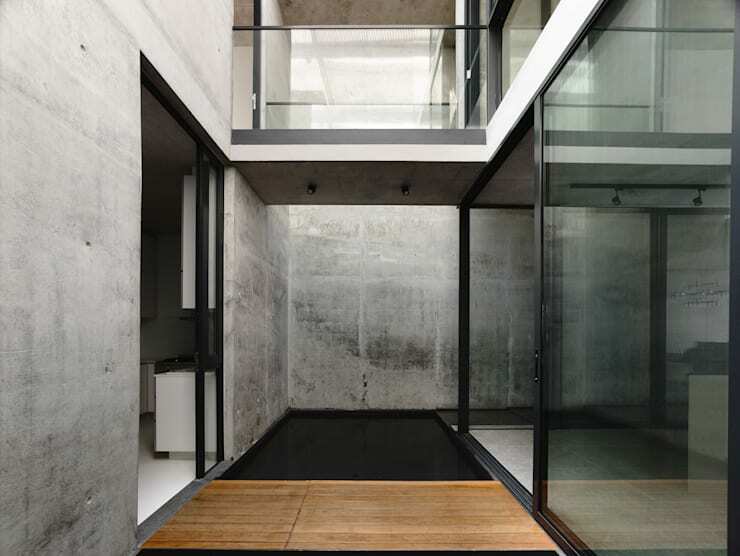 However, the space is actually quite bare, with negative voids adding to the intensity and impressiveness of the entry. For something completely different to the above entrance we head inside a family friendly interior that boasts a sense of warmth and practicality. Here the designers have opted for a light, bright and white colour scheme, with plenty of storage for household items. If you simply love the effortless sophistication of Japanese minimalist interiors, you will adore this timber-clad example. 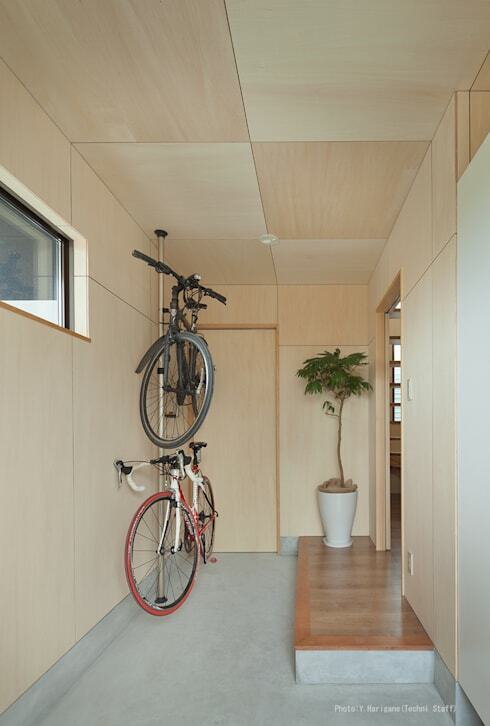 Replete with plenty of storage space for the two road bicycles, this room is seamlessly dressed in a light wood hue, with a simple indoor plant to provide interest and life. If you want to make a statement and excite your guests, choose an eclectic and engaging entrance space. 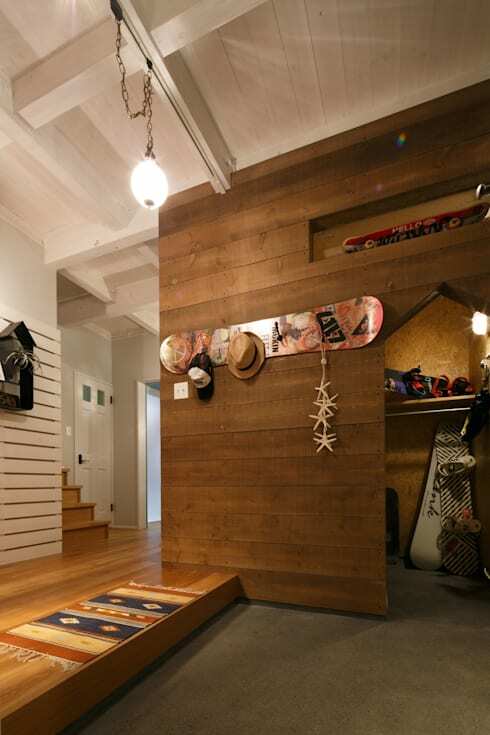 In this next example we see how a snowboard has been fashioned into a hat rack, while the timber cladding on the walls is a warm and lively choice for this family home. An eclectic interior can be difficult to achieve. If you are hesitant in undertaking the design yourself, you should seek some assistance from a professional interior designer. Homify has a range of designers to suit your needs. 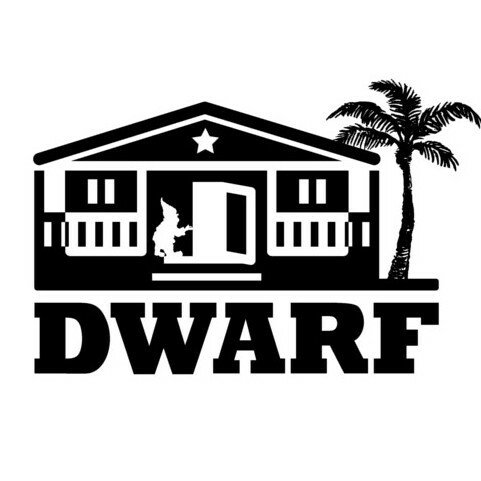 Head over here and check them out! Perhaps you are looking for an interior design that exercises some sleek sophistication? 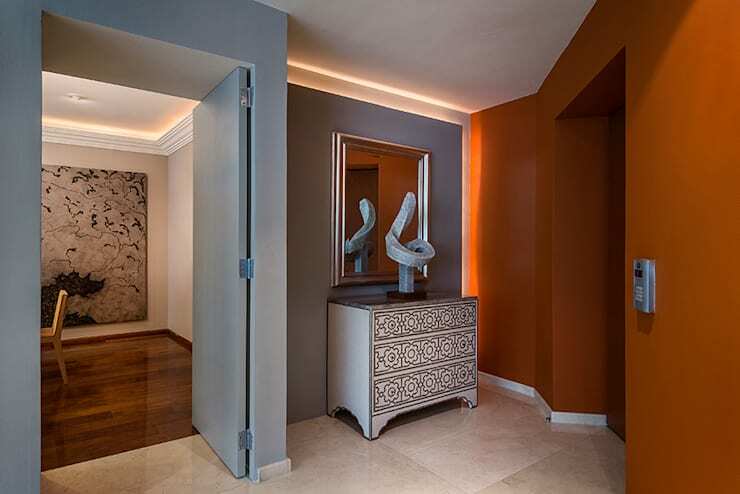 This entrance foyer and hallway creates an eye-catching aesthetic, boasting vivid and lively accoutrements. The circular mirror is one of the standout features, while the cleverly curated selection of ornaments adds charm, character and a sense of intrigue. Next up we enter a bold and attention-grabbing apartment entrance. The different wall hues are balanced with modern artwork, heritage furniture, and recessed lighting to complete the look. 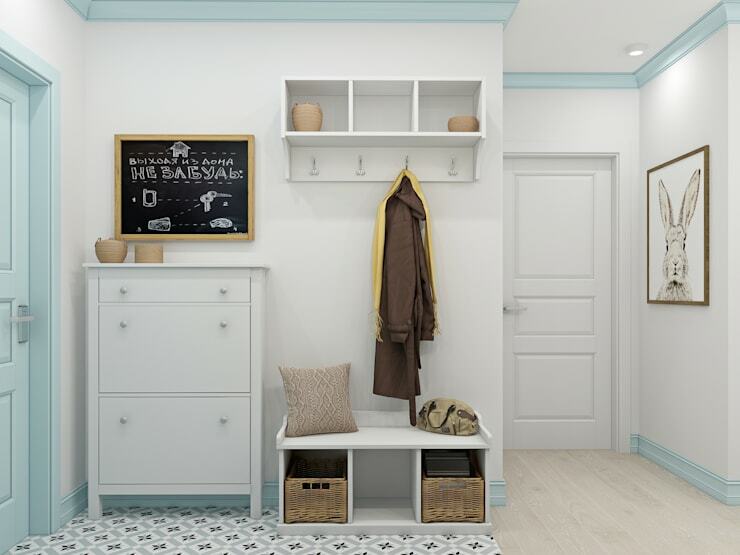 Our last entrance is perfect for a compact dwelling or apartment. 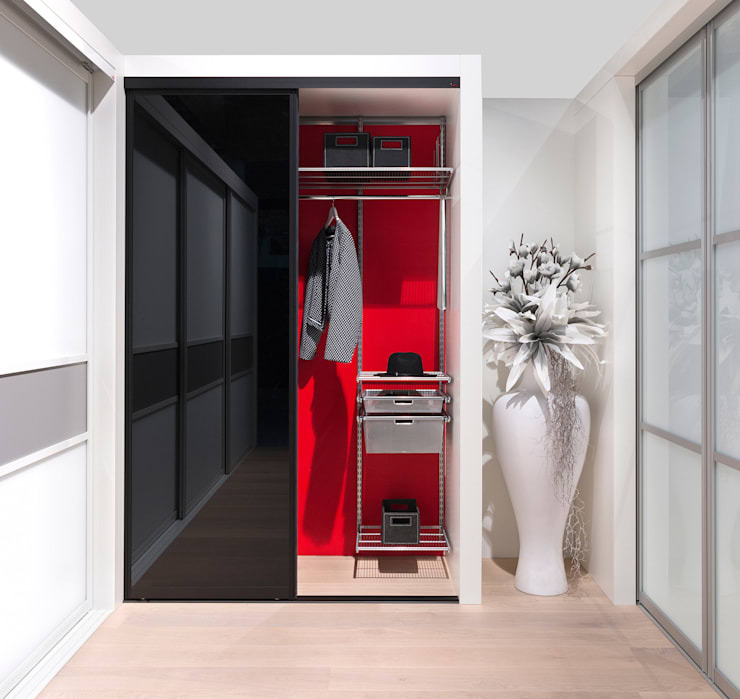 With a sleek white colour scheme, the high gloss black cabinet offers a hidden space for coats, jackets, shoes and other items that sometime block or disrupt and entrance space. What are your entrance must-haves? Let us know in the comments below!